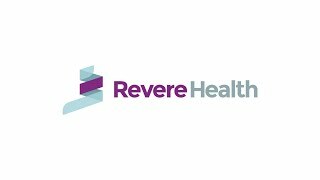 At Revere Health Salem Sports Fitness and Physical Therapy center, our physical therapists are licensed professionals who work closely with physicians and surgeons to help our patients achieve their individual health goals. Whether our patients are returning to collegiate sports, training for their first triathlon, getting back to work or just having trouble performing daily activities, we use tools such as exercise, education, manual therapy, modalities, aquatic therapy and home exercise to develop treatment plans tailored to their needs. Our therapists specialize in orthopedic rehabilitation, back and neck care, upper extremity and hand therapy, sports acceleration, geriatric strengthening and cardiac conditioning. A form of therapy that helps you increase your mobility, reduce pain, restore function and prevent disability. Therapies and training programs proven to help patients improve athletic performance under medical supervision. Treatment for older patients to increase strength, maintain bone integrity, and improve balance, coordination and mobility. Back and neck pain management through postural correction, lifting/transfer mechanics and safely strengthening core muscles. Treatment focused on restoring normal range of motion, strength and function, as well as the fabrication of custom bracing. It’s hot this summer! Here are 7 ways that you can stay safe this summer and avoid heat exhaustion and dehydration.